*JEAN B. SPEIGHTS "HE", "STAND", "MILES"
Jean grew up in Ithaca, New York, but currently resides in Poqouson, Virginia, on the Chesapeake Bay, with her Special Forces husband, who travels extensively, and their 10-year-old twin girls, who are both creative, artistic, and straight-A students. She has always loved to "fool around and write" in her spare time, as a child and as an adult. Her high school and college English teachers encouraged her to pursue writing. She wound up going to court reporting school and became a Merit writer recording, transcribing and editing legal transcripts. Although she has a passion for technical writing, it's not quite as liberating as writing from the heart. Jean's favorite pastimes include decorating, canoeing, tinkering around on the piano, and just reveling in a few moments of peace and quiet, all the while keeping the company of Mozart or Bach, or, perhaps, Bon Jovi, should the moment feel right. Francis W. Porretto is an engineer, opinion-editorialist and writer of diverse fiction. He lives in a ramshackle ranch situated in one of the remaining rural parts of Long Island, NY, along with one wife, two stepdaughters, three dogs, five cats, and too many power tools to count. In his spare time, he operates the Eternity Road Website, a fount of libertarian/conservative/pro-American political and cultural opinion, from which redoubt he rains shafts upon the forces of creeping statism, moral relativism, and political correctness. He's been working for ages on his Realm Of Essences series, four fantasy novels whose central motif is that Creation was a subcontract job. Apart from his ability to use "sesquip! edalian," "vermiculations," and "anfractuosity" in a single sentence, there's essentially nothing interesting about him. Just ask his wife! J.E.Moore (John) lives with his wife of eighteen years, Joyce, in Davie, south Florida. 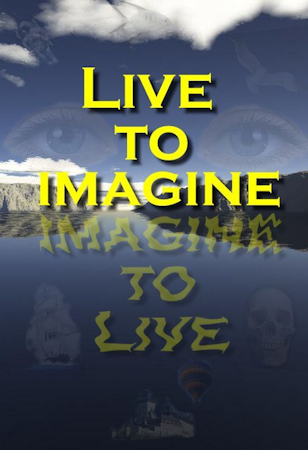 During the last five years he has written numerous stort stories and two unpolished novels. As to date, he is eagerly anticipating his eminent retirement from BellSouth Tel. Co. as an Electronic Technician and plans, forthwith, to tie-up his writings' loose ends. And then, to press forward to new frontiers, "Warp speed! Engage! Born in Baltimore, Maryland, and raised in Edmonton, Alberta, Karin Konoval currently lives in Vancouver, British Columbia. Her writing has been published in Exact Fare Only II (Anvil Press), Other Voices (Alberta literary anthology), Playboard Magazine, and The Courier. Her work has been broadcast on CBC’s First Person Singular, Radio 3, and Alberta Anthology. 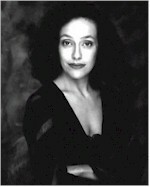 As a professional actor, Karin has appeared in lead roles at theatres across Canada, and received many honors for her work, most notably in musical theatre. On screen, she has appeared in principal and guest-starring roles in TV series such as X-Files, The Dead Zone, Stargate, and many others. Her numerous feature film credits include, most recently, the role of ‘Mary Leonard’ in Cable Beach for which she won a Philip Borsos award. Alicia began dabbling with the written word at age 12, when she started penning episodes of G.I. Joe for the amusement of her friends. She expanded her repertoire to include mushy love poetry and romance novels until a self-effacing and sarcastic style appeared in her mid-twenties, which she enthusiastically embraced as her true voice. In 2001, Alicia earned a master's degree in English & Publishing from Rosemont College and is currently the Director of Public Relations at a private school in Villanova, Pa., until she can afford to quit her day job. Ritch Brinkley spent his entire life as a professional actor on stage, screen, and television, from 1969 through 1999. Upon retiring from "showbiz", Ritch taught acting for the camera at The University of Wisconsin-Stevens Point before moving to Florida's Emeral Coast, where he writes a biweekly movie column entitled, "Before the Lens" for the Beachcomber, an entertainment tabloid. He wrote and performed the one-act monodrama "Hemingway: In Earnest", and holds a BS in Communications from the University of Texas at Austin, and an MFA in Acting from Florida State University. He is best remembered for the decade he spent on television's Murphy Brown as the lovestruck cameraman "Carl". Grace Succumbs to Pressure is loosely based on an actual incident he learned about while touring the theatres of Tennessee, Virginia, and North Carolina in the early 70s. Tish Davidson has written for magazines and newspapers about topics affecting parents and children since 1989. Her most recent books for middle school readers are School Conflict and Prejudice (Franklin Watts/Scholastic Library Publishers, 2003) and Competition (2005). She has an advanced degree in biology and also writes medical articles for encyclopedias and textbooks. Tish lives with her family in Fremont, California. She and her daughter Susan are volunteer puppy raisers for Guide Dogs for the Blind. "The Bone Man" is a true story that occurred in 1993 during a five-month trip around the edges of the United States with her daughters. Gail published a collection of inspirational short stories entitled Tales From the Sunroom in 2001. It has been well accepted and acclaimed. Her new novel entitled The Bird House: A Gift of Hope was released in December, 2002. It is an inspirational story of a young family in New York during the Great Depression and their struggles to survive. Reviews on this latest work have been excellent. She resides in North Carolina with her husband of 32 years. They have a daughter and three grandchildren in Houston, Tx. She earned a B. A. in psychology and an M. Ed in education from the University of North Carolina at Greensboro. Writing has been the realization of a lifelong dream, and she credits her success to the encouragement and support she has received from her family and many friends. Elizabeth writes screenplays, plays and novels as well as short stories. Her first play, "Confessions of a Catholic Child" was a finalist in the Writer's Network Fiction Contest in Los Angeles, chosen for staged reading by The Long Beach Playhouse, finished fifth in a field of 9,000 in the 1998 Writer's Digest Playwriting Competition, and optioned by a Canadian producer to create a one-hour film based on the play. Her second play, "Moon Walkers" finished second out of a field of 300 in the Do Gooder Productions New Playwright Award Competition, was recognized as a semi-finalist in Writer's Network 1998 competition, was part of New Theatre Works Festival 99 in Santa Rosa, became a semi-finalist in the Writer's Network Screenplay & Fiction Competition and placed in the top ten plays out of a field of 19,000 in the October 2000 Writer's Digest Writing Competition. Her "Journal of a Common Man," won Dominican University's Festival of Short Plays. Elizabeth's novel, LESSONS FROM THE GYPSY CAMP was published to rave reviews by Scribes Valley Publishing in 2004. Carolyn Ann Aish was born Carolyn Ann Gundesen in the small town of Waitara, Taranaki, New Zealand in 1948. She was raised in New Plymouth and now resides in Inglewood beneath the spectacular Taranaki Mountain. Her hymn, "Sing God's Song," has been listed by the Guiness Book of World Records (1996 and 2003) as the longest hymn in history. She is a well-known author in New Zealand and has numerous stories, for both adults and children, in print. Phillip lives in Knoxville, Tennessee, and describes himself as “a maniac with a word processor.” He has had a few items published, both in print and on the Internet; and has won a writing award or two in his time.